On the first stop of World Sailing's 2017 World Cup Series in Miami, USA, a strong 470 fleet will make-up some of the 452 sailors who will descend on Regatta Park at Coconut Grove, Miami from 22-29 January 2017. Great Britain's Women's 470 teams will look to take over the mantle from Rio 2016 gold medallists Hannah Mills and Saskia Clark, while there are some new world champions looking to upset the established order in the US Sailing ranks. Amy Seabright and Anna Carpenter will take on Sophie Weguelin and Eilidh McIntyre as the British Sailing Team look to replace their outgoing Olympic champions who are taking on new challenges. The focus can't just be on national status though as fourth placed Rio 2016 pair Afrodite Zegers and Anneloes van Veen (NED) and fifth placed Ai Kondo Yoshida and Miho Yoshioka (JPN) will also be looking to get their Olympic quad off to a good start. Spain's Rio 2016 Olympians Barbara Cornudella and Sara Lopez are also eyeing up a second Olympic appearance in Tokyo, but they will be challenged throughout the upcoming quad by teammates and 2016 470 Junior World Champions Silvia Mas and Paula Barcelo. 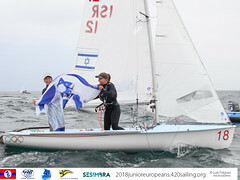 Another of the younger women's teams setting out on their path to Tokyo 2020 are Greece's Maria Bozi and Rafailia Klonaridou, who picked up the bronze medal at the 2016 470 Junior Worlds, outpacing Mas and Barcelo in several races. 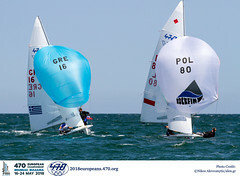 Fresh from winning the 470 North American Championships which wrapped up on Monday, Italy's Giacomo Ferrari and Giulio Calabro are also focused on a Rio 2016 Campaign. They signed off on their junior career with victory at the 2016 470 Junior European Championships, which also featured Germany's Malte Winkel and Matti Cipra claiming silver and Hippolyte Machetti and Sidoine Dante (FRA) picking up bronze. All three teams will face each other when racing gets underway in Miami on Monday. In Auckland, New Zealand last month, USA's Wiley Rogers and Jack Parkin wrapped up the 2016 Aon Youth Worlds title in the 420 with a day to spare. In their first competitive outing since becoming world champions, the young guns now have an opportunity to measure themselves in the 470 fleet against the likes of the USA's 470 stars Stu McNay and Dave Hughes (USA), alongside numerous other established teams. 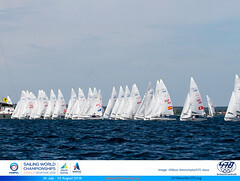 Other young guns on the start line will be Spain's Jordi Xammar, who begins a new Olympic campaign with new crew Nicolas Rodríguez García-Paz and Austrian helm Nikolaus Kampelmühler who has teamed up with Olympian Florian Reichstädter. Two of the partnerships who made the podium in Rio 2016 will contest the opening event of the SWC. The Australian gold medallists will be pushed by Greece's bronze medallists, Panagiotis Mantis and Pavlos Kagialis. The Greek pair has taken a break from competition since their glory days in Rio, are refreshed and keen to establish their place on the leaderboard. Also stepping up to a full-on campaign for Tokyo is the 2015 420 World Champion Daichi Takayama, who has partnered up with Rio 2016 crew Kimihiko Imamura. Imamura's helm, Kazuto Doi, has also linked up with a younger face in the form of Naoya Kimura, who himself won the 2016 470 Junior Worlds. Experience and youth may prove to be the perfect recipe for success.